An individual's mental and physical health may be improved by owning a pet. Cats and dogs provide the greatest number of benefits. Research has found some health benefits are specific to cat ownership. There are more people living alone now than in the past. Families are smaller and loneliness is a growing problem. Having a pet such as a cat provides company, boosting your mental health. Having a cat to care for provides motivation to get up each morning. It also encourages a person to have a routine which includes caring for their cat. Pets in general have been found to reduce symptoms of depression but cats are especially beneficial. The unconditional love of a cat is likely to ease loneliness. Some people find the relationship with their cat less stressful than human interactions which may involve jealousy, competitiveness and other negative emotions. Stroking a cat boosts levels of serotonin, the feel good hormone, making a person feel happier. Studies have found owning a cat can reduce anxiety. People who have Alzheimers Disease tend to have fewer outbursts triggered by anxiety if they have a cat. The sound of purring can be reassuring for someone who is anxious. Cuddling a friendly cat will cause an increase in the person's production of oxytocin which lowers blood pressure, reduces heart rate and boosts feelings of trust and love. However, psychologists believe if an individual who suffers Anxiety is specifically fearful about the possible death of people and creatures they love, pet ownership may increase stress and therefore be inadvisable. Time spent sitting down cuddling a cat reduces stress. Having a cat on his/her lap may encourage the person to slow down and remain seated instead of jumping up to do the next job. The sound of purring combined with the rhythmic action of stroking is soothing. Although dogs also help reduce stress, studies show cats are generally better at it. It is believed this is because they are calm most of the time and don't jump, bark and get excited. When a person experiences pleasure from activities such as interacting with a cat the body produces an antibacterial peptide. This peptide boosts the person's immunity to germs. Children who grow up with a cat or dog are less likely to develop allergies. It is believed being around furry pets from a young age strengthens the immune system. Those who suffer ongoing chronic pain can feel isolated but the company of a cat can help. The warmth from the cat's body as she/he lies next to an aching joint can provide a degree of pain relief. Endorphins, the body's natural pain relievers, are released when stroking a cat and also when a person laughs. A cat's antics can encourage laughter and also act as a distraction from pain. Studies done by the State University of New York found people who own a cat are likely to have lower blood pressure than people who don't. They are also more likely to have lower cholesterol and there is some evidence linking cat ownership and a lower level of triglycerides. Research has found cat owners are 30% to 40% less likely to die of heart attack. It has been suggested owning a cat may lower the risk of heart disease even more than eating a low salt diet. A study carried out by the Minnesota University found evidence cat ownership reduced by one third the likelihood of dying from a stroke. This is probably because cats reduce stress and anxiety. Even when other risk factors such as obesity, smoking, high cholesterol and diabetes were taken into account, cat ownership still seemed to be important in lowering the risk of stroke. Research has found pet owners make fewer visits to the doctor and take fewer 'sick days' off from work. They also tend to recover from surgery more quickly and are likely to be discharged from hospital sooner. One amazing health benefit which is specific to cat ownership is the healing effect of a cat's purr. It has been found the frequency of a cat's purr, which varies from 20 to 140 hertz, promotes the healing of broken bones and damaged muscles, tendons and ligaments. The sound of a cat's purr can also have a beneficial effect on dysponea, a condition where there is pain and/or difficulty with breathing. Although any type of pet provides a boost to health, it can be seen cats have some specific benefits. 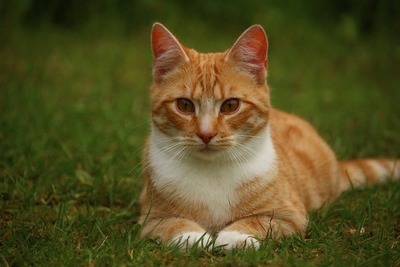 Cats also suit the personality and lifestyle of some individuals better than other pets.